States accepting CEs approved by NAADAC and Florida Board of Counselors, Marriage and Family Therapy and Social Work AL (LCSW), AK, AZ, AR, CO, DC (LPC), DE, FL, GA, Guam, ID, IN, IA (LPC), KS (LPC), LA (LPC), MA(LCSW), MD, ME, MO, MS (LCSW), NC (LPC), NE, NV (LPC), NM (LPC), NJ (LPC), ND (LPC, LCSW), Ohio (post-approval), OK (LPC), OR, SC, TN, TX, UT (LPC), VA, WI, WY). Colorado licensees: May apply up to 20 hours of course credit per renewal cycle if consistent with the development plan you filed with your board. Illinois and Pennsylvania LPC & LCSW Boards accept CRCC Approved Courses. AllCEUs 2017 Comprehensive Renewal Course is approved by CRCC. Alabama & South Dakota LPC Boards accept CRCC Approved Courses. AllCEUs 2017 Comprehensive Renewal Course is approved by CRCC. * Note: Ohio social workers, counselors and MFTs may take our courses, but will then have to complete the Ohio post program approval form and determination of credit will be made by your board. AllCEUs started providing affordable CEUs and counseling continuing education, including online ceus and webinar based counseling ceus, in 2006 to help counselors licensed by their state board of professional counseling or state board of alcohol and drug abuse access affordable counselor continuing education, meet their continuing education requirements and enhance their addiction or mental health counseling practice. Since then, other companies have joined the marketplace to provide lpc continuing education including quantumunitsed, ce4less, Aspira aspirace, tzkseminars, i-counseling, accessceu, CEUbynet, pdresources. AllCEUs pioneered the model of offering unlimited CEU packages for a flat rate. We also were the first to offer live webinars each week for $5 per counseling webinar. We pride ourselves on having the largest catalog, with well over 200 multimedia, online counseling CEU courses. AllCEUs is an approved continuing education provider by the Connecticut Certification Board, The Florida Certification Board, FCB, The Alcohol and Drug Abuse Counseling Board of Georgia, ADACB-GA, NAADAC, the association for addiction professionals, the Texas Board of Social Work, The Texas Board of Professional Counseling, The Texas Board of Marriage and Family Therapy, California Consortium of Addiction Programs and Professionals, the Florida Board of Social Work, Mental Health Counseling and Marriage and Family Therapy and many other boards. It is important to note that, in most states, CEUs are NOT required to be NBCC approved, and most states accept ceus which are NOT from an NBCC approved continuing education provider or ACEP. For specific information about which other approval bodies your state accepts, you can visit our approvals page: https://cdn1.allceus.com/wp-content/uploads/2017/01/NewStateApprovalChart2017-1.pdf which provides a summary and links to the documents of the various state licensing boards for counselors, therapists and social workers. 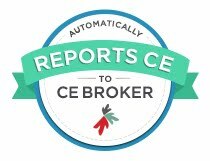 For mental health counselors, social workers and marriage and family therapists in Florida, AllCEUs reports your counseling CEUs to CE Broker. Whether you are a LCSW, MSW, LMFT, LMFT LMHC, LPC, LPCC, LCPC, CCMHC, MHC, CADC, LADC, CAP, LCDC, recovery coach, psychotherapist, pastoral counselor, addiction counselor, substance abuse counselor, recovery specialist, behavioral health technician needing mental health or addiction counseling CEUs online, or wanting to get certified as an addiction professional, AllCEUs has a variety of affordable online counseling CEUs, online addiction counselor certificate training tracks and face to face training options. Our unlimited CE packages provide professional counselor continuing education (CEUs) in addiction counseling, transdisciplinary foundations of addiction counseling, screening and assessment, diagnosis, family therapy, pharmacology, psychopharmacology, case management, crisis intervention, counseling tools, dialectical behavior therapy, mindfulness, acceptance and commitment therapy, ethics, supervision, working with adolescents, and many more.